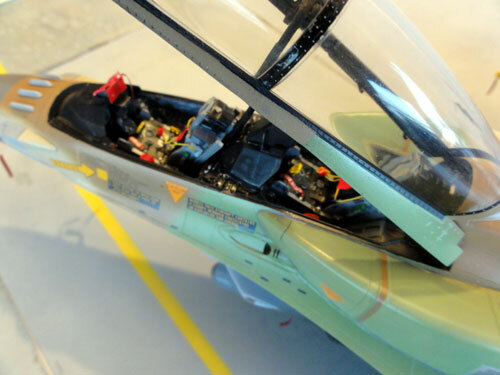 The half tinted canopy can be well seen here. 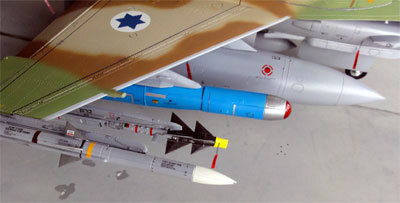 Finally, I added a special light blue pod sometimes seen on a SUFA. It was made using parts of the spare stores in the kit. 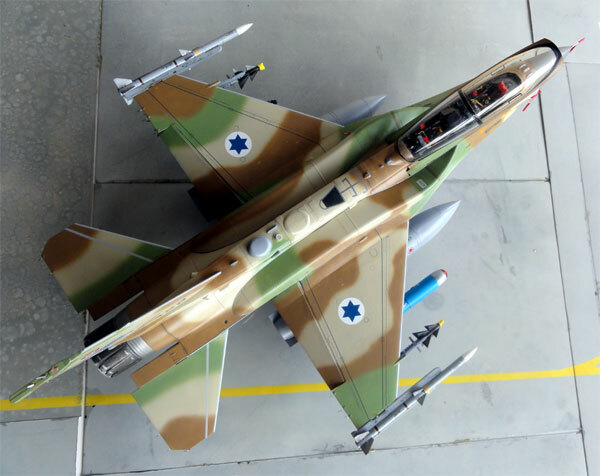 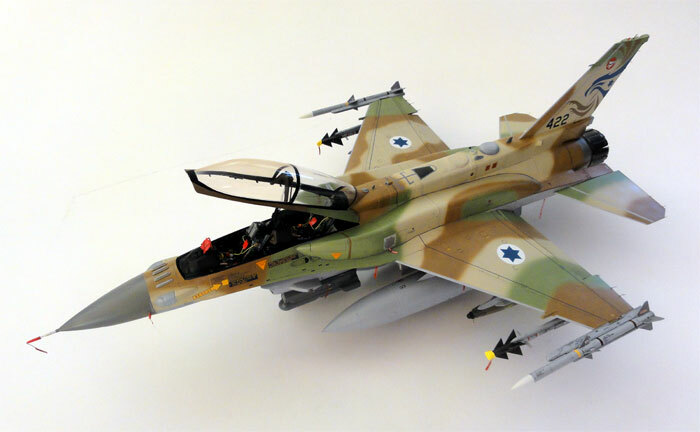 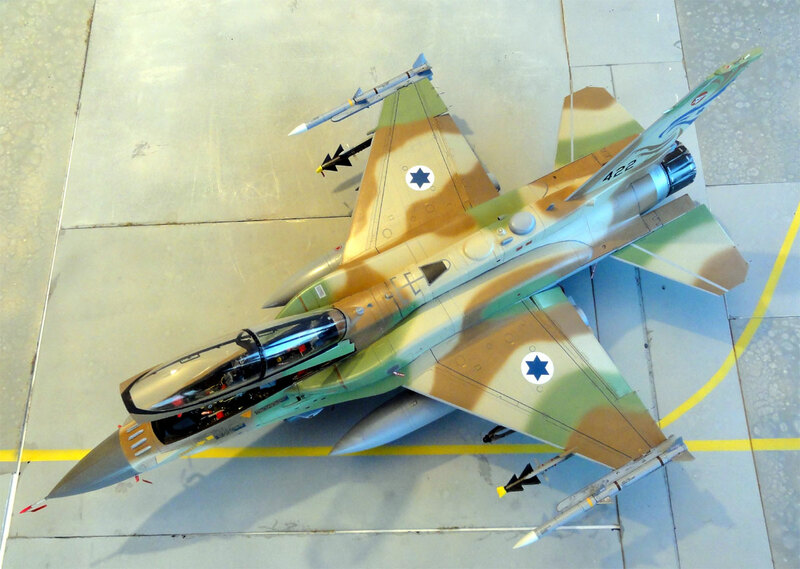 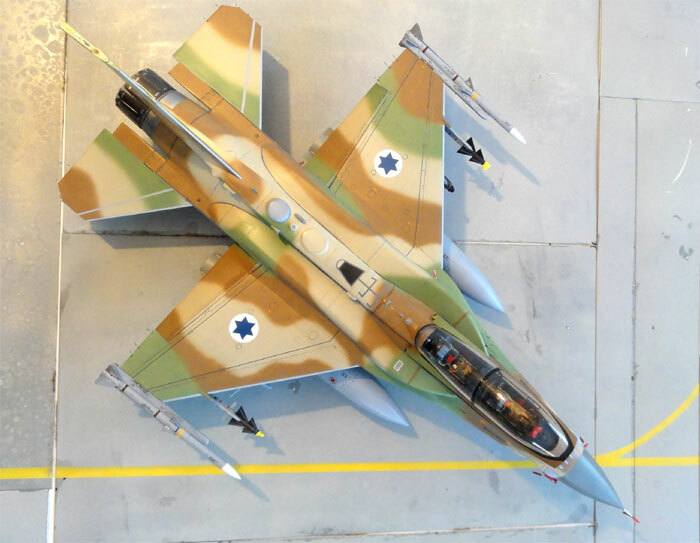 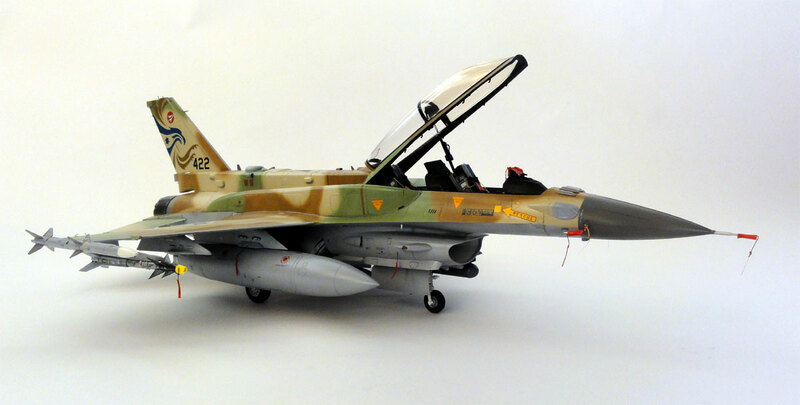 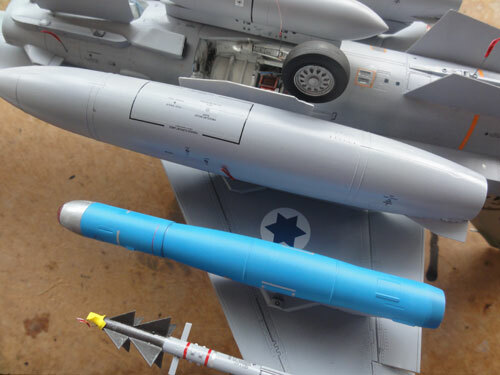 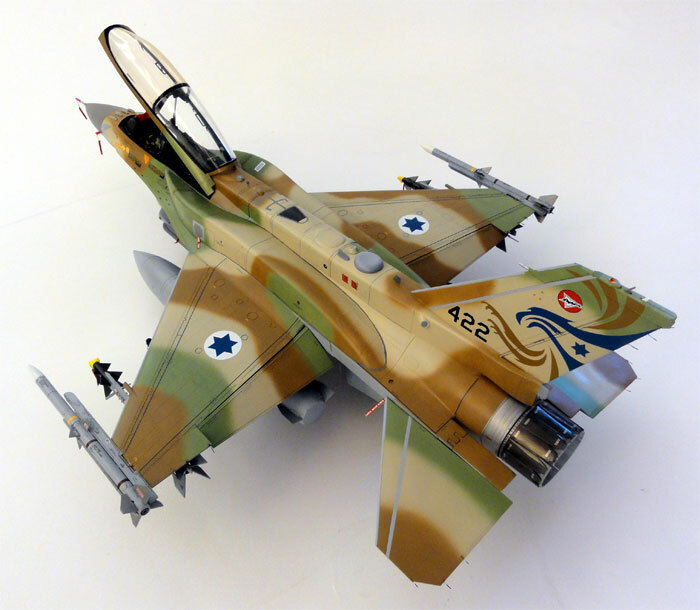 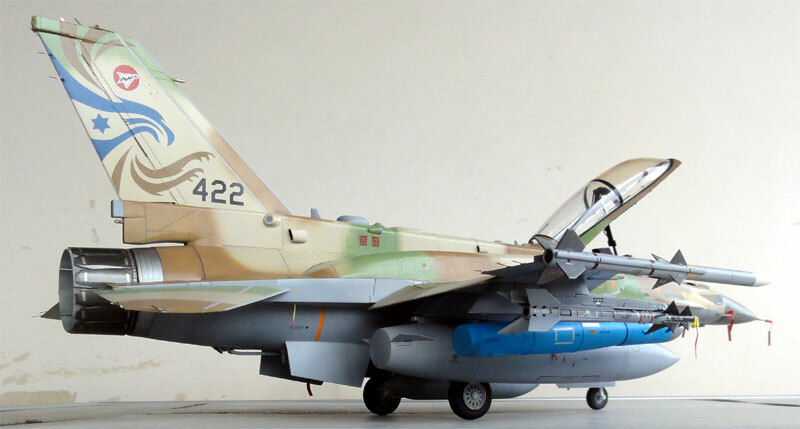 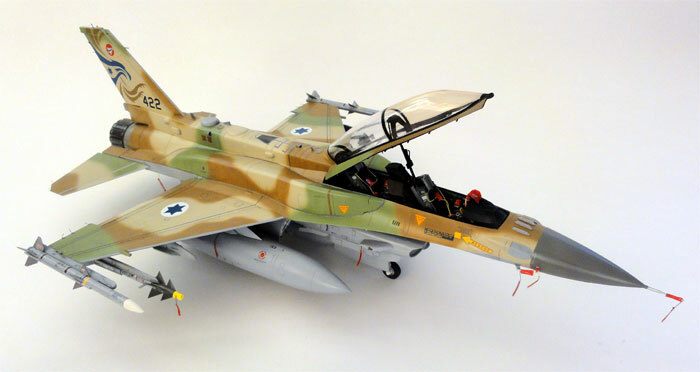 A nice F-16I SUFA is now in the model collection.